This ball is so under rated for being a Urethane!! Get this ball in your hand thrown at the break point and it tracks right into the pocket and crushes the pins. Unlike other Urethane balls in the market this is a MONSTER!!!! Great urethane piece! The Old School has a very controlled and predictable ball motion that you desire for bowling on the burn or short patterns. A must have for sure. It's a bit stronger than anticipated, but the extra pop on the backend helps carry a ton. For years I've dismissed urethane bowling balls, thinking if you tried one you have basically tried them all. I thought it was outdated technology in an ever evolving game. I have never liked urethane, until now. 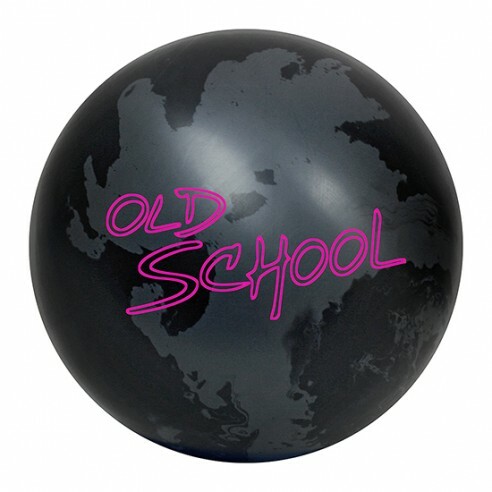 There is nothing Old School about this ball except the name. The Intense HD Urethane cover is in a class all it's own, no other urethane ball on earth compares to the Old School, not a one! It's the most dynamic urethane ball I have ever seen or used! Since I have a higher rev rate, I took the Box Finish (800 Sheen) all the way up to a 3500 Grit-Polished finish specifically for houses with wood lanes and higher friction surfaces. With the high polish finish, the ball performed the best on the shorter/less volume patterns like the PBA Wolf, Kegel Broadway and PBA Cheetah.